One of my favorite new DC food finds is H &Pizza on H St NE in the Atlas Neighborhood. My wife and I had just gotten an end of week happy hour cocktail up the street and were looking for a place to grab a quick bite. 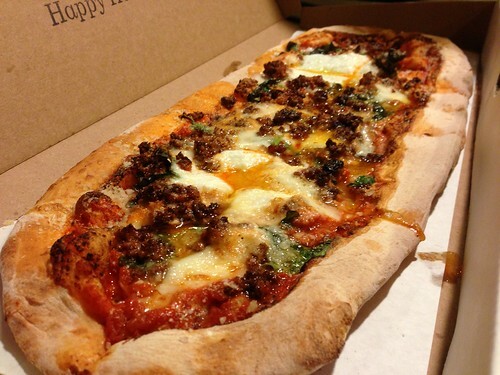 H &Pizza brings that fast casual “Chipotle-like” vibe to the world of pizza. We got there and there was a line almost out the door. As we continued in line, it became out the door. Just like Chipotle, there’s a station where you choose all your toppings, they run it through a quick oven and then you’ve got delicious pizza. 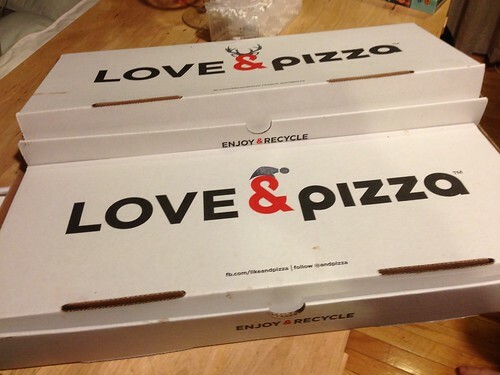 The pizzas are delicious. First thing you’ll notice is H &Pizza’s pizzas are long. Perfect size for one person. You can choose your own toppings or you can choose a preset pizza. Looks like they tried to get as many local ingredients as possible. They also had vegetarian and vegan options which is cool if that’s your thing. I got the Farmer’s Daughter pizza. It had house made mozzarella, spicy sausage, and a farm fresh egg which was the star for me. For ~$9, it’s a great deal for a delicious single persons meal. We’ll definitely be going back again.